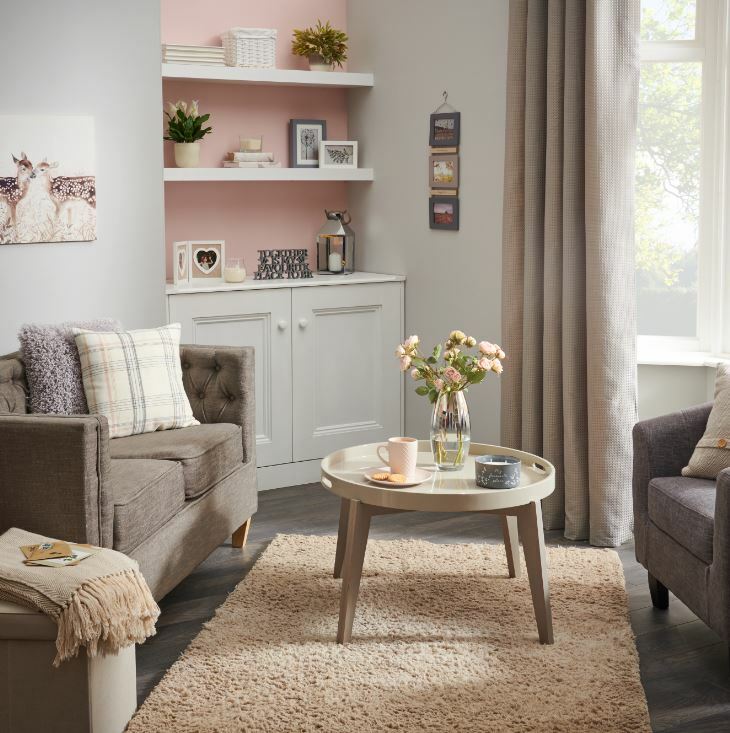 Let blush pink and soft grey tones dominate your space through your home accessories and wall décor to instantly create a harmonious haven at home. Add comfy cushions with delicate textures to your sofa, then add scented candles to your coffee table for an extra cosy touch in the evenings. 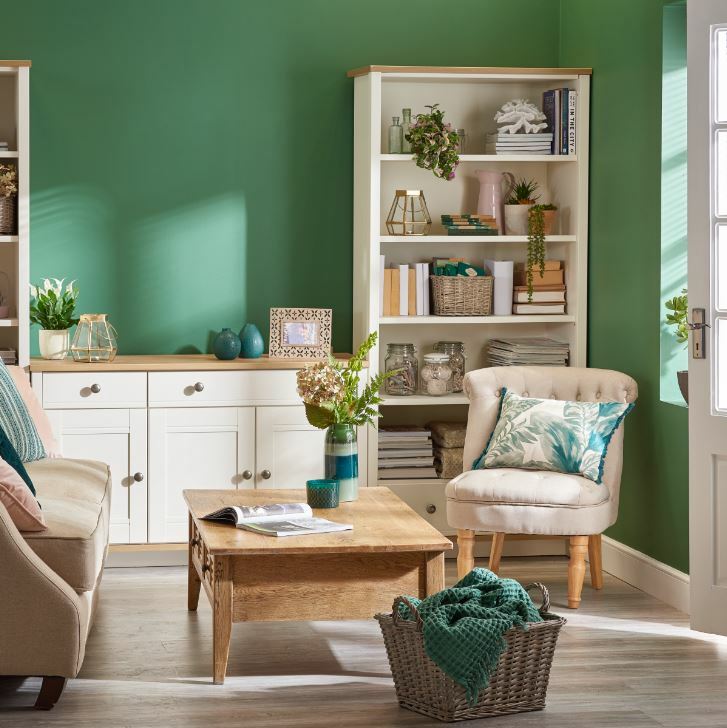 Inject a sense of energy into your home with a mix of bright contrasting colours and patterns for an exciting and functional space that’ll stand the test of time. 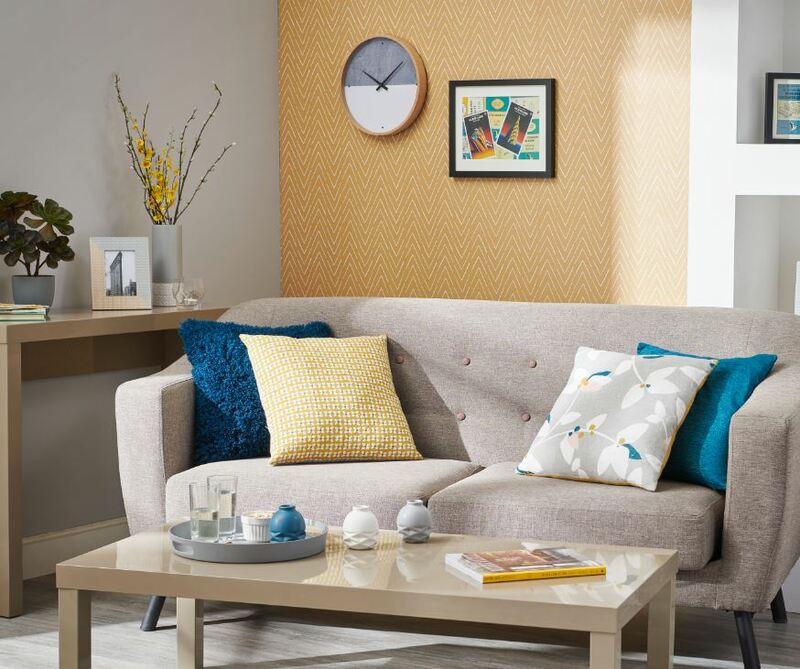 Make your walls pop with retro yellow paint and complete the look with floral printed cushions. Bring the outdoors in with shades of green through your accessories and wall décor. Make a feature of your walls with nature-inspired wall art. Our reactive glaze vase is perfect for adding style to your coffee table or windowsill and shows off a fresh bunch of flowers perfectly. Give your living room a vibrant and welcoming atmosphere with wallpaper in warming spiced tones. And for a look that has a tale to tell, bring in textured cushions, patterned prints and individual pieces. How will you be updatimg your living room? Let us know on Facebook, Twitter, Instagram or Pinterest.